My wonky world of crafts, books and wine! : DIY Easy peasy wall art! 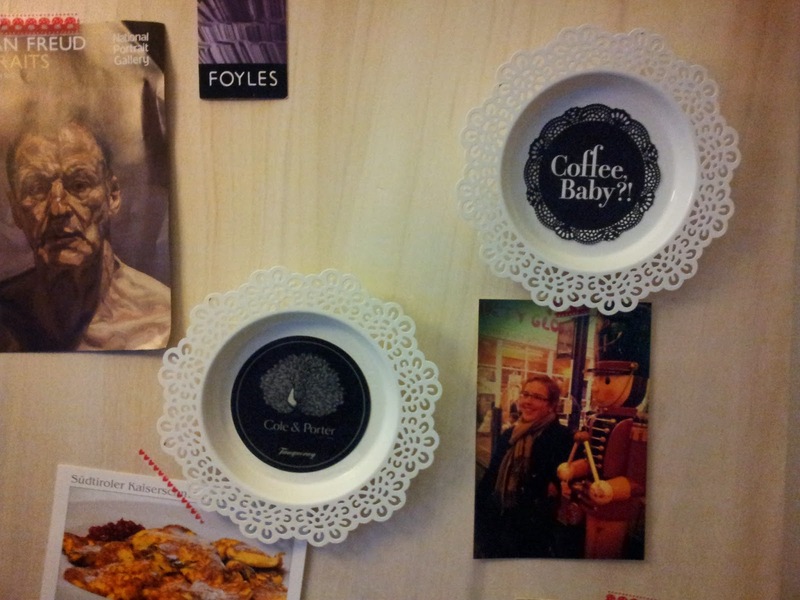 So, a while back I collected two paper coasters at a bar and a coffeeshop. I don't know if there's an exact term for these thingies that they put under glasses or that my gran used to put between coffee cups and saucers. They are a bit old-school and but seem to be getting a revival now. Basically it was a no-brainer to glue the paper coasters onto the little holders and stick hooks at the back. Don't you just adore them?!?!! !